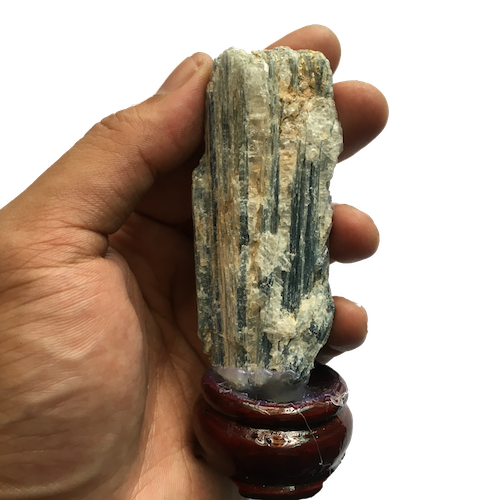 Buy genuine raw Blue Kyanite from the best online crystal shop in the Philippines. Blue Kyanite is a helpful stone when it comes to relationships as it inspires loyalty and and repairs damaged relationships. If you’re into sales, this can help you close a deal with a customer or a client - it brings good luck to negotiations. Additionally, this stone promotes career growth because it helps a person discover new interests and learn new skills. As a healing stone, Blue Kyanite aligns all chakras and restore their balance. This is also perfect for students as it helps its owner improves his knowledge.